Did negligent security contribute to the senseless loss of this young man and are justice and compensation available to Juforest Hicks’ family? 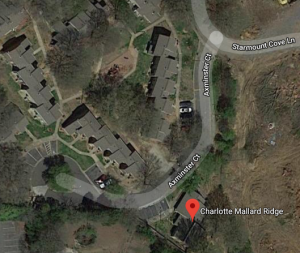 Gunfire erupted outside a Charlotte apartment complex Monday night, December 17, 2018, tragically claiming the life of 21-year-old Juforest Ishaih Hicks. Charlotte-Mecklenburg Police told WSOCTV 9, Mr. Hicks fled to a nearby gas station for help after suffering multiple gunshot wounds “at an apartment complex on Axminster Court.” Mr. Hicks was transported to the hospital, where he tragically succumbed to fatal injuries. Police have not yet released information on a suspect or motive, per WCNC reports. What security measures, such as gated-entry, fencing, monitored surveillance cameras, bright lighting, and visible security patrols, were in place to deter crime and protect Mr. Hicks at the time of the shooting? Generally, property owners are required to protect all those legally on the premises from any foreseeable harm. Should the facts of this matter reveal that the apartment complex owner failed to provide adequate security to protect those on its premises, Juforest Ishaih Hicks’ family may seek justice and elect to pursue legal claims for their loss. Javon Sherwood Killed in Charlotte Apartment Shooting; Fatal Security Lapse? Did negligent security contribute to the tragic loss of this young man and are justice and compensation available to Javon Sherwood’s family? 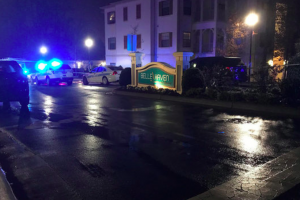 Security measures are in question after 22-year-old Javon Daniel Alim Sherwood was shot and killed “at the Belle Haven Apartment Homes on Autumn Lake Court” Saturday evening, December 1, 2018, according to WSOC-TV 9. The tragedy comes amid a recent spike in “violent crimes in the University City area,” WSOC-TV 9 reports, including a November apartment complex parking lot shooting. Police are still searching for suspects and a motive, leaving neighbors shaken, per WBTV 3 reports. How did the shooter(s) gain entry to the complex? What additional security measures, such as gated and guarded entry, fencing, bright lighting, monitored surveillance cameras, and visible security patrols, were implemented by the apartment complex owner following media reports of prior violence in the surrounding area? Generally, property owners are required to protect all those legally on the premises from any foreseeable harm. 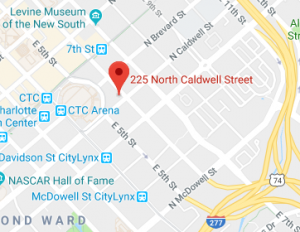 Should the facts of this matter reveal that the apartment complex owner failed to provide adequate security to protect those on its premises, Javon Sherwood’s family may seek justice and elect to pursue legal claims for their loss. Did negligent security contribute to this senseless Charlotte nightclub shooting? Nightclub security measures under scrutiny after a man was shot and injured outside Palace Charlotte nightclub Thursday morning, March 1, 2018. Did negligent security contribute to this Charlotte nightclub shooting? We represent individuals and families who have suffered a tragic loss or injury as a consequence of negligent property security. Read Our Legal Take below to find out if the victim may have a legal avenue for justice and claims for substantial compensation in North Carolina, or call now for a free consultation with our legal team: 888.842.1616. What additional security measures, such as weapons screenings, bright lighting, surveillance cameras, and security patrols, were implemented by the nightclub owner in preparation of the unofficial CIAA event? Generally, property owners are required to protect all those legally on the premises from any foreseeable harm. Should the facts of this matter reveal that the nightclub owner failed to provide adequate security to protect those on its premises, the victim may seek justice and elect to pursue legal claims for his injuries.